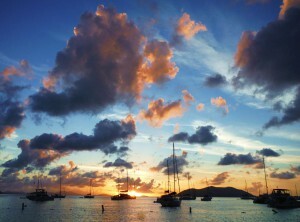 British Virgin Islands-ULTIMATE Caribbean Vacation! Magical islands…translucent waters…soul-warming sunshine…sugar-white sand…do these words conjure up images of paradise? Perhaps your mind is transported to an idyllic, tropical island with mind-blowing scenery and consistent, crystal azure surf. These are the images that dreams and fantasies are made of. The kind of faraway heaven-on-earth location that most people think they’ll never see; a place for the rich and famous only. What if I told you that you could go there? What if I told you that this place is closer than you think? What if you can go there and not have to worry about anything but which swim suit you’ll be wearing that day? WB Surf Camp is here to tell you that YOU CAN! Join us for the ultimate Caribbean adventure! 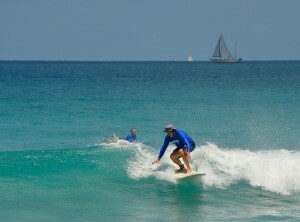 Our Tortola British Virgin Island Surf Camp is led by our top program directors and is a unique adventure designed for everyone from beginners to advanced surfers. This trip takes you to one of the most beautiful, intoxicating, and exciting places on earth! For more info on this exciting retreat check this out: This way to paradise!